Old World flavor wrapped into a portable burrito! 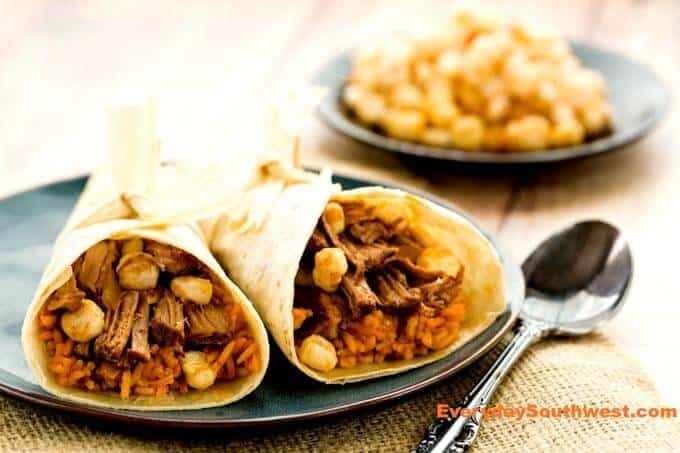 Burritos may be the best answer to the “What’s for Dinner Blues!” This Posole Burritos recipe updates one of the most traditional dishes from Mexico for today’s slow cooker and will have dinner on the table in no time! 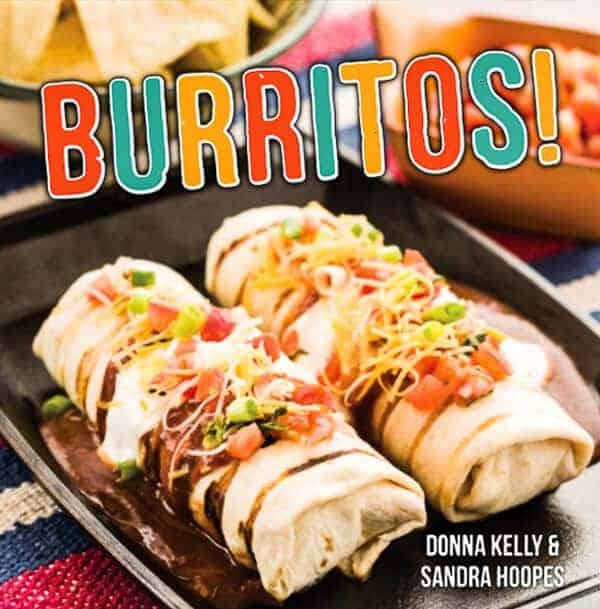 I am very happy to announce the official launching of our newest cookbook, BURRITOS! Donna and I have had this project in the works for over a year now and am proud to say that BURRITOS! is now available and actually IN the stores now! BURRITOS! takes 70 of our favorite recipes and rolls them into fast, easy and portable alternatives to the same ol’ dinner. 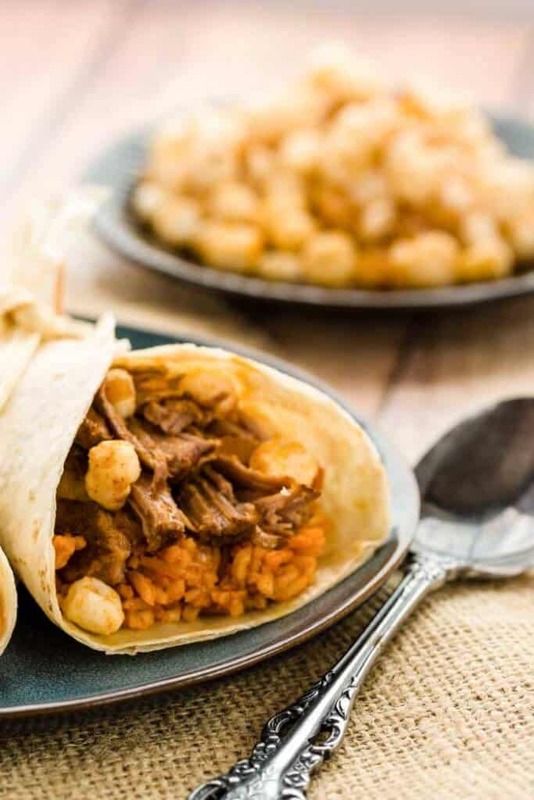 We have added other recipes to the book that go great inside the burritos like Mexican Red Rice, Easy Red Chile Mole, Tomatillo Cream Sauce and Homemade Flour Tortillas so that each burrito can be a complete meal for your family. The cookbook has been available online since August but, I wanted to wait to make the “official” announcement until I have actually seen it in the stores and I knew that you could find it as well. I have set up a page here on Everyday Southwest that has links to several online sources like Amazon, Barnes and Noble, and Gibbs Smith (our very own publisher extraordinaire). Just follow the link to this page and you will see several ways to order BURRITOS! So. Where did I first see BURRITOS!? In a gas station, of coarse! Not just any gas station, mind you… a “fancy” gas station and car wash in upscale North Scottsdale with the award winning and “seen on tv” barbecue joint, Tom Thumb Fresh Market. 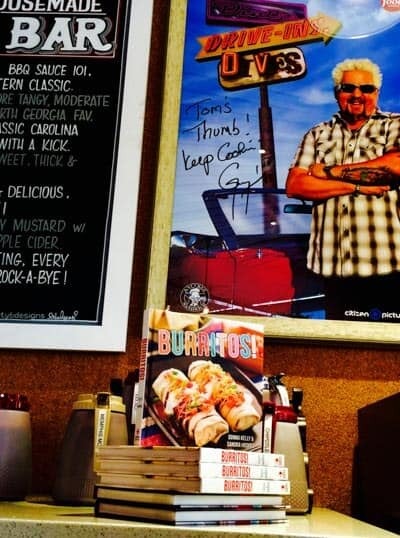 In fact, Tom Thumb has been featured on Food Network and Guy Fieri’s popular show—Dinners, Drive-Ins and Dives. I like to say we are 3 degrees from Guy Fieri. Guy Fieri endorses Tom Thumb. Hey! We must only be one more degree closer to the Food Network! and Bobby Flay! Anyhooo… that’s just for fun. In the mean time, here is one of my favorite recipes from the “Old World” chapter of our cookbook called Updated Classics. I hope you love this recipe and enter the giveaway! Be sure to let us know what you think, you can always leave us a comment here on this post or follow Everyday Southwest on Facebook. We have a lot of fun things planned for the new year so don’t forget to sign up for our free email updates so you don’t miss a thing! Cut into 4 even pieces and place in a slow cooker. Combine Coca Cola, orange juice, cumin and chile powder and pour over pork. Add ⅔ onion and garlic. Pour in vegetable or chicken stock and cover slow cooker. Cook on low until pork is tender and can be pulled apart with a fork, about 6 to 8 hours. Remove pork from slow cooker allow to cool enough to handle then shred. Add hominy to slow cooker and continue to cook until hominy is hot. Assemble burritos by spooning rice and pork onto a warmed tortilla. With a slotted spoon, scoop hominy mixture from the slow cooker and spoon over pork. Garnish with cilantro, radishes and remaining onion. Roll burritos as desired. Hi Annalise, Thank you! We did all of the food styling for the book and had a lot of fun with it. Thanks, Terry! It was a lot of fun to do. I downloaded the cookbook a few weeks ago and can’t wait to make some of the recipes. Congratulations! A cook can’t have too many cookbooks, and ‘Burritos’ looks and sounds terrific! Congrats. We enjoy posole soup, but a burrito version sounds quite tempting. Congrats on your cookbook! What a great focused topic, as well. I make posole in the winter and there’s always leftovers. This year I’ll stick some in a burrito! Love the explanation for your Guy Fieri connection – though if you don’t mind me saying so, I’d rather eat your burritos than meet him and have to share my burrito with Guy. (He’s always grabbing food from others – so impolite 🙂 Anyway, love these burritos. We love Mexican food – love it! I had no idea you had a book out. I am so excited to hear about it. A big Congratulations to you and your co-author. That is wonderful. Congratulations on the cookbook! It sounds wonderful and I’d put it to good use if I won! Thanks for the opportunity. I am such a fan! I really hope that I win one of these! I love mexican food. These photos are amazing, they’re making my mouth water! That looks so delicious! I can’t wait to try it. Looks delicious! Plus it’s a slow cooker recipe?, Bonus! 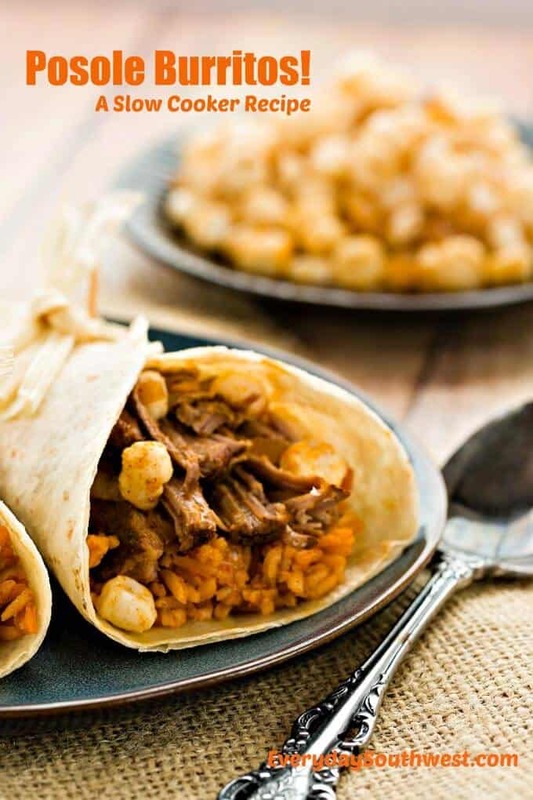 Neat idea to make burritos in the slow cooker. Oh my word! How is it that I have only just now discovered y’all?! I instantly added you to my feed so I won’t miss a thing. We ranch in New Mexico and peppers and green chile are added to everything. Its an addiction. 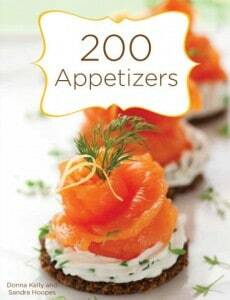 Perfect timing on your cookbook – I’m thinking friends and family will enjoy finding it under the tree. I would love to add it to my kitchen as well. I’m always looking for something new as I often feed a cowboy crew. First off! Congrats on the book! So cool! Secondly, this recipe looks fabulous. I love anything that I can do in my slow cooker! Oh my gosh..could there be anything more delish..than a burrito?… NO…. What cant you wrap up into a beautiful four tortilla wrap? I do loves me a good Burrito! Can’t wait to try these. How do i get that book? My fam & I are huge, did I say HUGE, Mexi food lovers. Burritos? YUM! Thank you for the chance to win. I love Posole. Being from a Mexican family we have posole all the time, its my favorite. Never actually thought of burritos though but it looks really good. Congrats on your cookbook, the cover looks awesome. I love Mexican food and I am such a fan! I would be soooo happy if I could win this one! My fingers are crossed! I keep seeing ideas for burritos that never occurred to me! I lived on the border for 25 years so this one is right up my alley! I love to try new recipes. This one sounds like a winner! You have created some wonderful recipes. Thank you. This looks delish! And perfect because slow cooker season is upon us! I want to try this. The combination of orange juice and coke simmering the meat sounds tantalizing. I love to use that slow cooker. These would be delicious and I think my family would love to eat some. I am definitely making this, this week!!! Congrats on your new cookbook. I love burritos, and these look easy enough. These burritos look absolutely delicious!! I’l have to try them out sometime! Interestine! Looking forward to trying this! Interesting! Looking forward to trying this! Those look so good! I want to try this out soon, as I think my husband would be a huge fan of them! Hi Cara, Please do try this recipe! It is so easy and my family (husband and two grown sons) loves it! I think your husband will too!